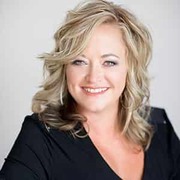 Hello, my name is Marissa French and I have been a Loan originator for 17 years as well as a Co-Branch manager Margo Krogulski for the same duration.. I have 4 children Katelyn, Kamryn, Tanner and Trenton. Tanner and Trenton are 16 year old twins. My favorite food is either Mexican food or Sushi. I got into the mortgage by chance and I could not imagine doing anything else. I love helping people make their dream come true. I am inspired everyday by God and my family to be a better person everyday. While not at work I absolutely love going to the lake with my friends and family. My favorite thing about working here is that I absolutely love helping others achieve the goal of home ownership when they didn’t think it was possible. I look forward to working with you on all your home loan needs. If there is any way we can help please give us a call anytime! Completed transaction in December 2018 in Knoxville, TN. From my initial contact (which was by accident) to my day of closing,I felt as if I was their only client. I thought I called another mortgage company but was so happy that I ended up working with Marissa (and everyone else). I received above and beyond customer service which always included detailed information regarding current or upcoming paperwork or tasks. Every person that I came in contact with was pleasant and happy to help with anything I needed. I will happily refer everyone I know ❤️ Kristy N.
It had been the easiest and best experience for something so stressful. Everyone was great love them all! Auston B. Visit the NMLS Consumer Access website for regulatory information about us. Cardinal Financial Company, Limited Partnership (NMLS ID 66247). Copyright © 2018 Cardinal Financial Company Cardinal Financial Company, Limited Partnership. All trademarks and trade names are the property of Cardinal Financial.